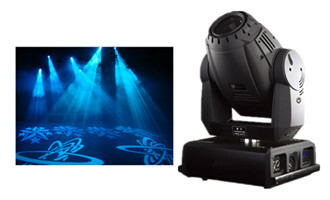 Conventional stage lights can be divided into three main categories: floodlights, spotlights and effect lights. The construction of the floodlight generally does not include a lens (except for the floodlight), but uses a direct light from the light source and reflected light from the curved reflector to have a directional structure. However, there is also a floodlight for remote illumination, which uses a direct light from a light source to condense light to emit light. This is a floodlight or a floodlight. In addition, there is a wider range of strip lights designed for all lighting, and softer light that creates more effective effects for the part of the stage, or the ability to adjust the angle for uniform illumination of the curved surface. Individual lighting. Floodlights have a wide range of illumination, soft and uniform light, and color filters for other colors. Floodlights for stage lighting are generally designed as a row of lights for large-area illumination. Partial effect lighting for the stage, with individual fixtures with adjustable angles. Floodlights must have no spots and significant flare marks on the stage lighting. The spotlight is constructed so that the light beam emitted from the light source can be concentrated to the front by the mirror, and the lens can freely emit light to a local extent of the stage. It can adjust the luminous flux and projection angle of the light. There are two kinds of adjustment methods: moving light source and moving lens. Due to the adjustment, the illuminance of the light-emitting surface changes; the spotlight is the basic luminaire for stage lighting, and its optical system is mainly composed of a concave mirror (reflective bowl) and a condensing mirror. Its characteristics are: its light spot is bright and the edge is clear. The light projection range is narrower than that of the floodlight, and the intensity of the light can be adjusted within the light projection range. The adjustment is divided into two types: light source movement type and lens movement type, and the local illumination effect is obtained by adjusting the illuminance change of the light projection surface. Spotlights are generally used for surface light, slap, side light, column light, top light, chasing light, etc., and are currently widely used in stage lighting. There are usually two ways to adjust the projection angle and spot size of the spotlight: one is to move the base of the base (usually connected to the reflective bowl and the socket) back and forth to get the best position of the bulb. The second is not moving the light bulb, only moving the front lens. In general, the former method is used to control the projection angle and range by adjusting the position of its light source. The specific operation method is to adjust the focusing rod at the rear of the lamp housing, or to rotate the crank screw shaft, or to directly dial the position of the lamp cap at the bottom of the lamp housing. At this time, care should be taken in the operation so that the side with the largest filament area is completely parallel to the lens, and the center position of the filament is adjusted to the optical axis of the lens. According to the shape of the edge formed by the emitted light, the spotlight can be broadly divided into three types: a soft spotlight, a plano-convex spotlight, and a contour spotlight. The nature of the light is stronger than that of a soft spotlight, and the outline is clear, but not as focused by a spotlight. Since it is difficult to express it from the quality of light, it is generally called a plano-convex lens spotlight according to its configuration. The structure of the floodlights allows the light around the light-emitting surface to be intensely focused, and is an indispensable spotlight for tracking performers. Unlike other spotlights, it has two lenses, and is equipped with a diaphragm that changes the size of the light-emitting area and a light-viewing plate that changes the shape of the light. Effect lighting is a lighting device that expresses the phenomenon of rain, snow, clouds, waves, flames, etc. It can also be called the background of song and dance, drama for effect lighting, and is a very important lighting means for the modern stage. The effect illuminator is different from the general slide projector. It is large in size, strong in brightness, and can be projected. It is a stage-specific projection device. The principle is the same as that of a normal projector. 上一页：Do you feel the dream effect of the stage laser light? 下一页：How is the stage lighting of the theater configured?